So, so far your business has been doing very well without a website, or any online presence for that matter. Well, that’s great, but I’m sure you understand the importance of having a website, right? And there’s no doubt in my own mind that if you had a website from the very start, you would have definitely attracted a lot more customers to your business. That being said, you may have stumbled upon this page still wondering whether you should create a website for your business, or not. Well, here are some things to think about. Increase brand awareness and look more professional to their customers. Reach out to a wider audience, generate more leads and increase sales. Demonstrate their expertise in their niche or industry. There are plenty of other benefits of having a business website. Here’s an interesting statistic you’ll love to know. So if your business isn’t online, you’re potentially missing out on a whopping 85% more business. You see, if you’re telling me no, Fabrizio, your business can cope very well without a website, then that’s fine, you’re clearly not interested in growing your business. But, if you are interested in exponentially growing your business, and increasing sales and profit, then read on. So where do you even start with getting a website up and running for your business? 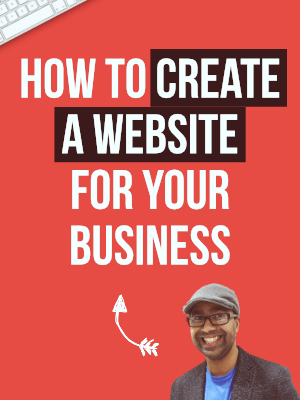 Do you use a free and simple do-it-yourself website building tool, or do you learn how to create a website for your business yourself? There are so many options these days, especially with do-it-yourself website building tools. The route I would personally recommend anyone or any small business owner to take, however, is to create their own website! Or at least learn how to. With this option, you have greater control and most importantly, ownership of everything to do with your website, from your domain name, content, traffic and audience, to your raving fans and followers. I realize that running and managing a website yourself requires a little of your time, of course, it does, however, you WILL save a lot more money and time in the long run. One thing you have to remember, creating a website for your business by yourself is NOT rocket science, despite what you may have thought or read about website building. And, I created this page specifically to help you get set up quickly and painlessly. Step One: Get a domain name and web hosting. When thinking about purchasing a domain name for your business (example.com), I would strongly recommend using the same name as your business, especially if it already exists offline. That might sound like such logical advice, but you’d be very surprised as to how many companies create a website using a totally different domain name from their actual business name. Additionally, I would also recommend you use a popular and widely used extension, i.e. .com or .net for your domain name. Buy a domain name and web hosting together! The good news is that you can get a FREE domain name with any reliable web host provider. 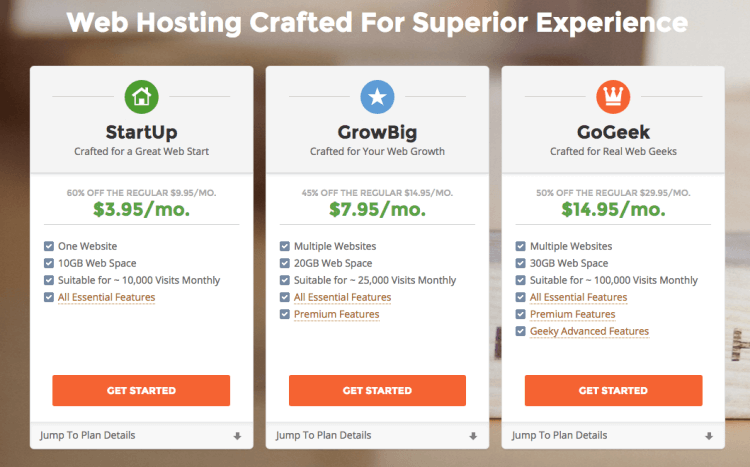 I recommend SiteGround web hosting. This is the hosting provider that I use for Magnet4Blogging Media, as well as many of my clients. Step Two: Install a content management software (WordPress CMS). The best CMS software I recommend and the one that I use myself for building websites with,is WordPress. WordPress is a free open source platform (WordPress.org not WordPress.com). Access to a host of customizable themes available online to make your website truly personal to your brand. Access to a host of plugins available online to add any type of functionality to your website. Simple to use without the need to learn complicated HTML or CSS (coding). Though some knowledge will only expand your creativity with WordPress. Better content management, and, you have full ownership of your content. Full control of your website. There are more than 70 million websites that depend on WordPress. If you’re still unsure about WordPress and feel you’re better off with using a simple DIY website builder tool, then check out these 51 amazing facts about WordPress first. Adding WordPress to your website! The other good news is that almost all reliable web host providers will have some simple method for installing WordPress into a domain name with just a few clicks. Once again, SiteGround is one of those web hosts I recommend that have a simple ‘One Click’ WordPress installation tool. Here’s a quick video on how to install WordPress on a shared hosting account with SiteGround all in under 10 minutes. Step Three: Customize your website. So, you have your domain name, web hosting and WordPress installed and taken care of. Now you want to make your site look just the way you want it to look. Or, perhaps to reflect your brand identity offline. For this, you can either hire a web developer and designer or use a pre-designed template such as a premium WordPress theme or skin. If you’re totally new to website building, or maybe you just want the hassle of setting up and designing a website taken care of by someone else, then this option might be for you, however, it is not the most cost-effective option. You shouldn’t have too much trouble finding an experienced freelance web designer to help you with your online projects. The web designer has a great looking website. First impressions are important, right? Clear information is provided about the process of building a website from start to finish. Customer feedback and testimonials are available. A sensible time frame for creating your website is provided. Customer aftercare, training provided, and site maintenance services if required, etc. Usually, when hiring a web designer, you will also need to look for a copywriter to create the content/copy for your website. 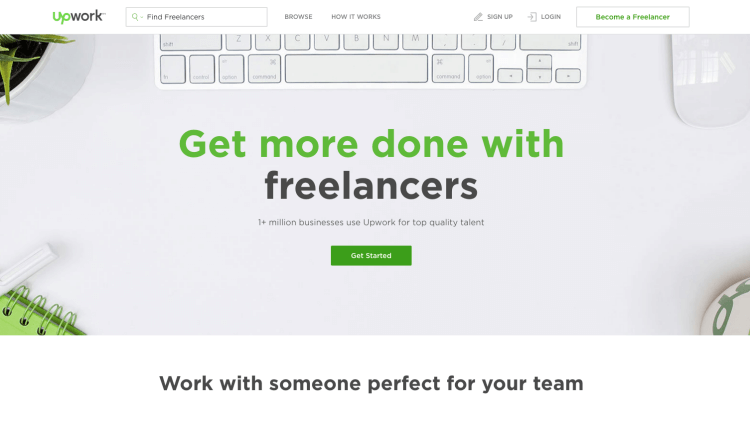 Websites like LinkedIn and UpWork are great places to find freelance copywriters. This option will probably be the most cost-effective and rewarding option for you. If you’re thinking about building and customizing a website yourself, there are some great tools and plugins available online that are simple to install, setup and use. Take a look at the premium WordPress themes like Genesis Theme Framework or Thrive Themes. Don’t forget to check out some of my tutorials on how to get the most from these two theme creators. I would also recommend you check out Thrive Architect plugin to help you build a custom homepage, sales landing pages, email pages, services pages and more. Read: 10 Best WordPress Plugins For Small Business Websites. Here’s a quick video I created some years back showing how to install a Genesis theme into your new WordPress site in under 5 minutes. The video is a good few years old, but the installation application is still the same. Recommended pages for your business website. OK, so if you’re a bit confused about which pages to have on your business website, this actually depends on the nature of your business altogether. To give you some inspiration, here’s a list of pages you might want to consider adding to your personal brand website. Custom homepage – This is the page that most of your visitors will land on when visiting your website for the first time. To put it simply, it needs to be epic in terms of design, messaging, and conversion goals. Check out this video tutorial on how to create an epic homepage for your website. About page – This is the page where your visitors will learn more about you and your business, including how you got started, your goals, visions, and objectives. Services/sales page – This is the page where you will provide information about the services you provide, or the products that you sell. Testimonials page – This is the page where you can display feedback and testimonials from your past customers. Landing page – This is the page where you will be able to capture leads for your business, such as names and email addresses. Contact page – This is the page where your website visitors will be able to contact you about your products or services. Once your business website is up and running, you can then start thinking about marketing your site and driving traffic and potential customers to your website. Check out this post I wrote on the best digital marketing tips and ideas for growing your business online.